My Nominations: Earthquake. The Towering Inferno. The Golden Voyage Of Sinbad. The Man With The Golden Gun. Although the team of Glen Robinson, Albert Whitlock, and Fred Brendel won a special achievement award for Earthquake, we still had no official category this year. That’s a shame, as we have some interesting films which deserved a nomination. Earthquake obviously gets a vote along with The Towering Inferno – two of the major disaster movies of the era. 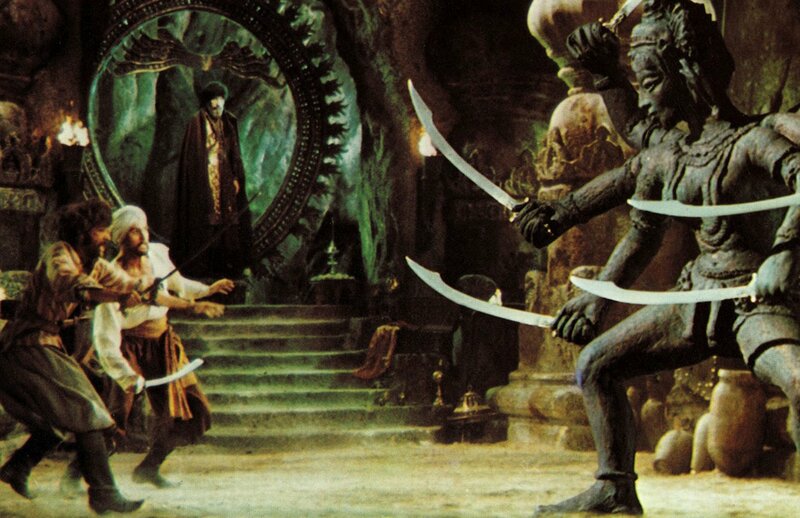 The Golden Voyage Of Sinbad is another Harryhausen treasure-trove, featuring a griffin, a dwarf, a wooden siren coming to life, a wizard who gains invisibility, a centaur, and a six armed, sword wielding Kali. The Man With The Golden Gun is the requisite Bond nomination, but it’s not overly effects heavy. If you wanted, you could add Zardoz here too…. Let us know your winner in the comments!